Lawmakers also passed House Bill 986, which, among other things, directs the Department of Public Instruction to develop a mental health training program for school personnel that includes suicide prevention. As DPI implements this legislation, critical to its relative success is the understanding that some youth populations are at a much higher risk of suicide than others. The UConn/HRCF study found that 11% of LGBTQ youth reported being sexually assaulted or raped because of their actual or perceived gender identity. 43% of LGBTQ youth reported being bullied on school property in the last 12 months. 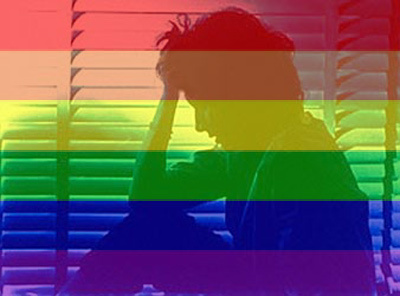 The report found that LGBTQ youth are dealing with staggering amounts of stress in their daily lives, leading to elevated levels of anxiety and depression. The highest stress levels were reported among non-binary and gender non-conforming youth, those young people who reject or do not conform to society’s rigid rules categorizing people as male or female. A remarkable 95% of all respondents reported difficulty sleeping at night. Only one in five LGBTQ youth of color reported that they believe their racial or ethnic group is regarded positively in our country. Suicide is a growing problem among all age groups, especially youth. We know that after passage of HB 2, which restricted transgender students’ access to facilities, calls to the Trans Lifeline doubled. What we don’t know is how many transgender youth are considering or attempting suicide in our state, because those data are not collected – and they should be. Even in the absence of that data, it is important that existing tools to prevent suicide, such as the Suicide Prevention Lifeline, are protected. Equality NC is developing a youth fellowship program designed to lift up LGBTQ youth across our state, especially young people in rural areas. However, a more systemic approach is required to fully understand and address LGBTQ youth suicide. We also know that LGBTQ youth are more likely to experience homelessness, foster care, and the juvenile justice system than their peers. A compassionate response is one that affirms the value of every human life, and cares for the mental health of all our state’s children. The full results of the UConn/HRC survey can be found here. Ames Simmons is the Director of Transgender Policy at Equality North Carolina. This essay appeared originally on the “For Children’s Sake” blog of the advocacy group NC Child.